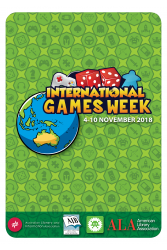 International Games Day is now International Games Week to offer you more options in picking a time and day that works for your library. 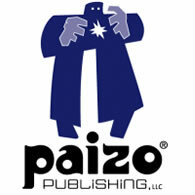 We invite libraries of all types to join in the celebration and take advantage of the following free publicity tools. 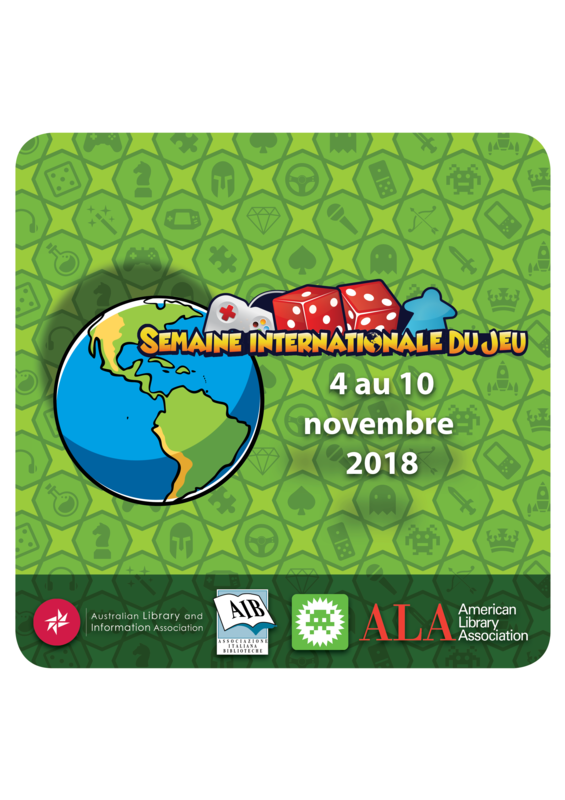 Libraries, be sure to register for the event in order to request a donation and be included on the international map! We’ll be updating the map several times a week. 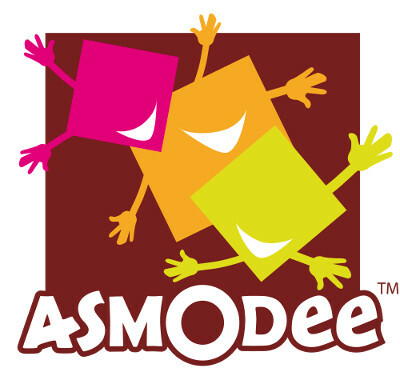 To download a logo, follow the link and then right-click on the image to save it. Each library that registers will need a separate Gmail to pin their location. This is what allows you to edit the info about each specific library’s event. You can edit the information for your library event by returning to the IGW Map Form with the original email used. 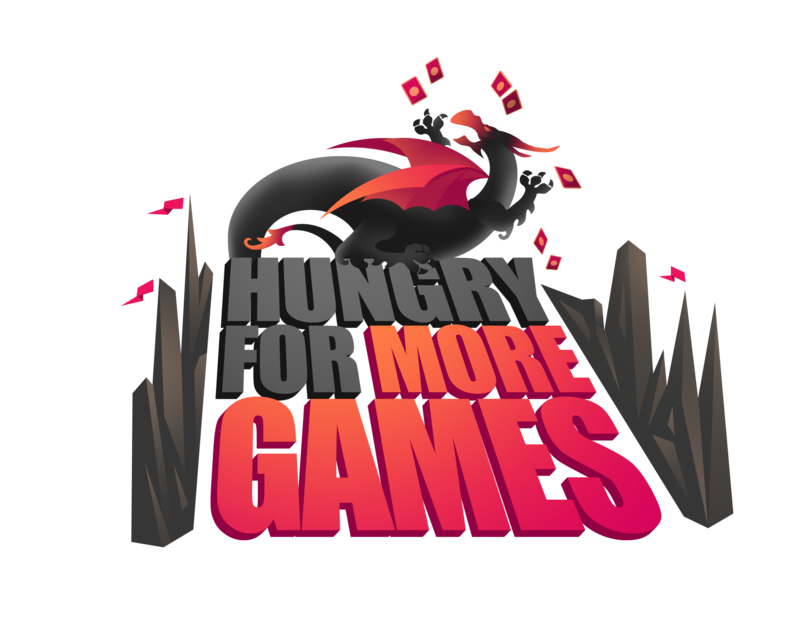 Please let us know through our contact form if you need assistance with the map. 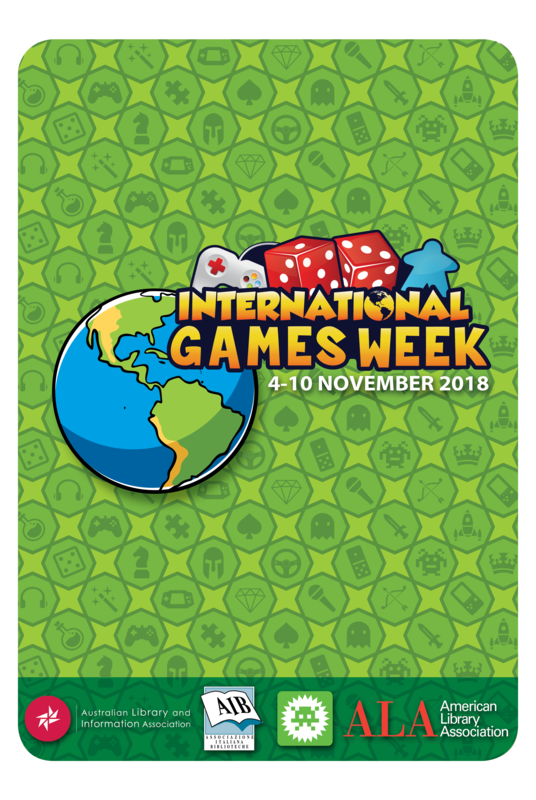 This year, we have several versions of the poster to allow for the proper size for different countries and for libraries that might hold their event on a different date. The PDF version of these posters allows you to add custom text to your specific library and event. 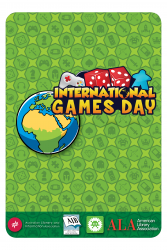 Leave them blank if you want white space, or type your own event details into the PDF before printing it. Feel free to contact us if you need access to a different file type. 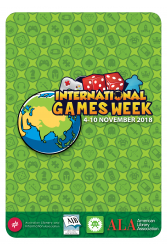 If you’re based in Scandinavia, the USA, Australia, or Italy we already have volunteers promoting the week in your area. 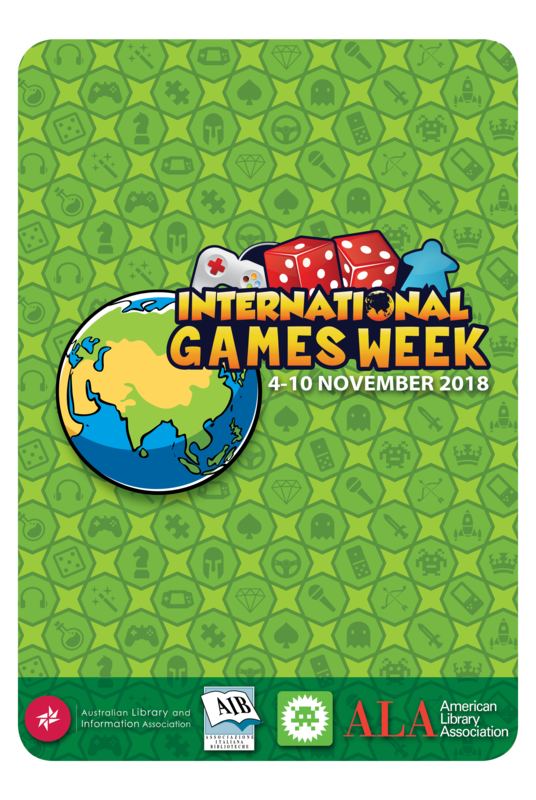 But if you’re based in any other countries, and want to share the event with other libraries, why not tell them about it? Below is some text for you to send around through your library networks. 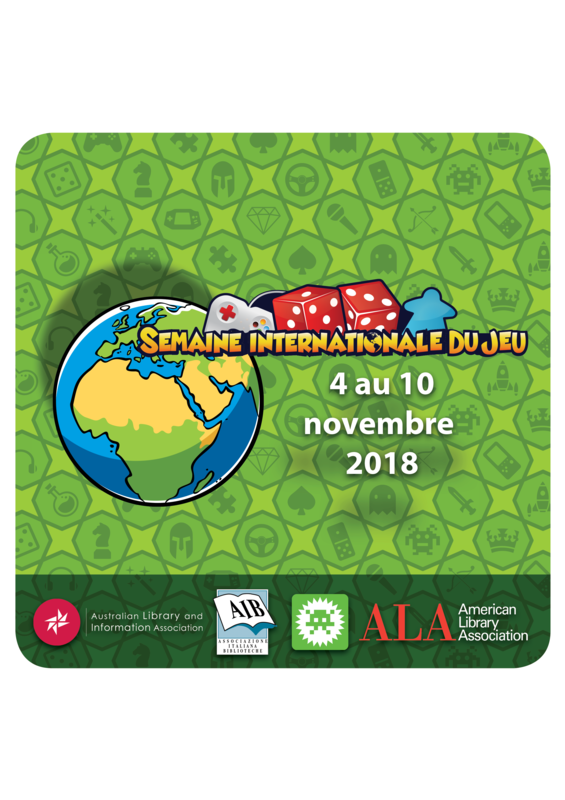 Free worldwide event for libraries! 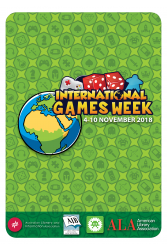 International Games Week (IGW) is an annual celebration of games, play, libraries and learning that any library in the world can join, and costs absolutely nothing to register for! 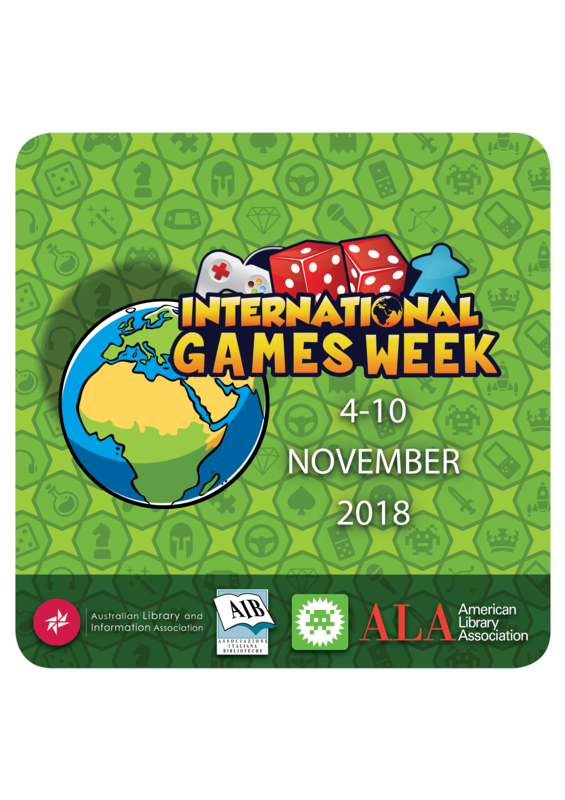 IGW has only the most flexible of entry requirements – you have to have some sort of game-related activity in or around your library, during or near the week, which in 2018 is November 4th through 10th. That’s all! 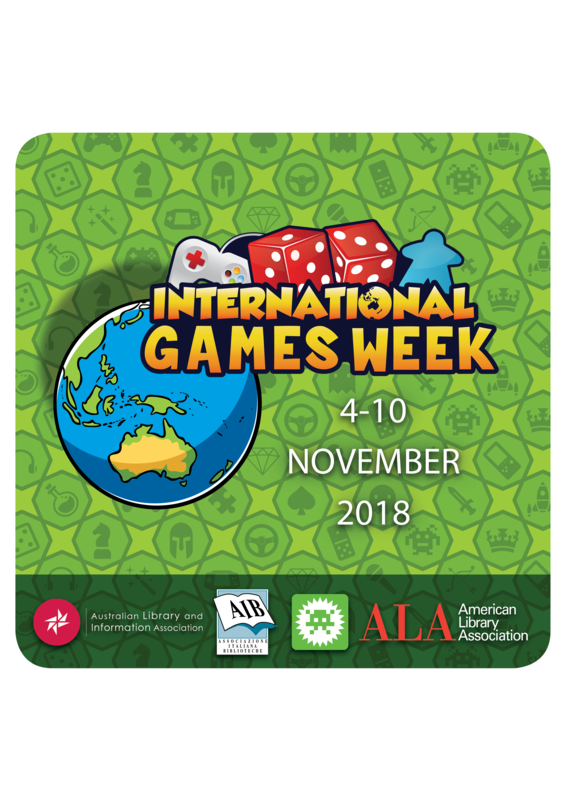 The games can be videogames on a library console, tabletop games, social games, party games, traditional folk games – whatever you think will work for your individual library and community. 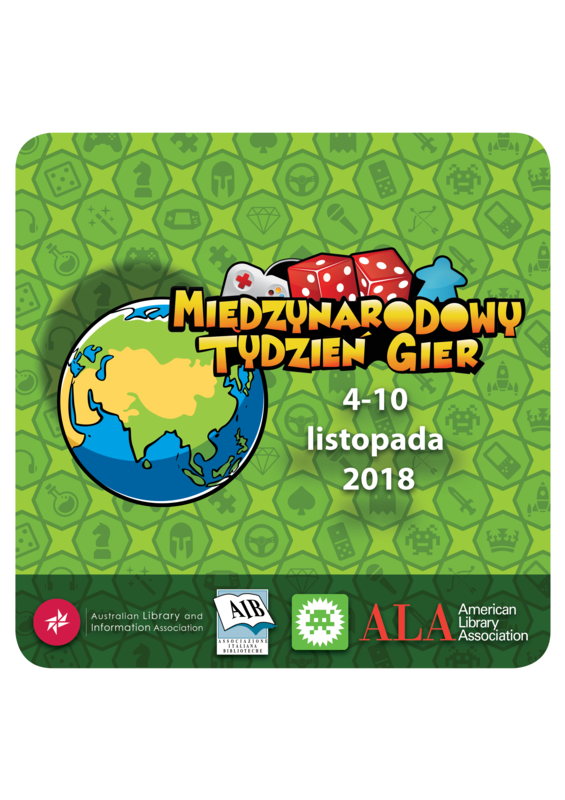 Registration involves filling out a questionnaire that tells us a bit about your library and your plans for the event, and then gives you information about the donation options available to your library. 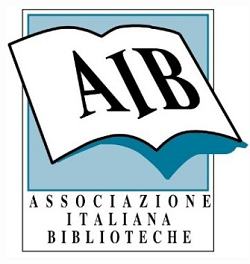 You can also sign up for some international inter-library events that will give your community the chance to connect to other library communities all over the world. 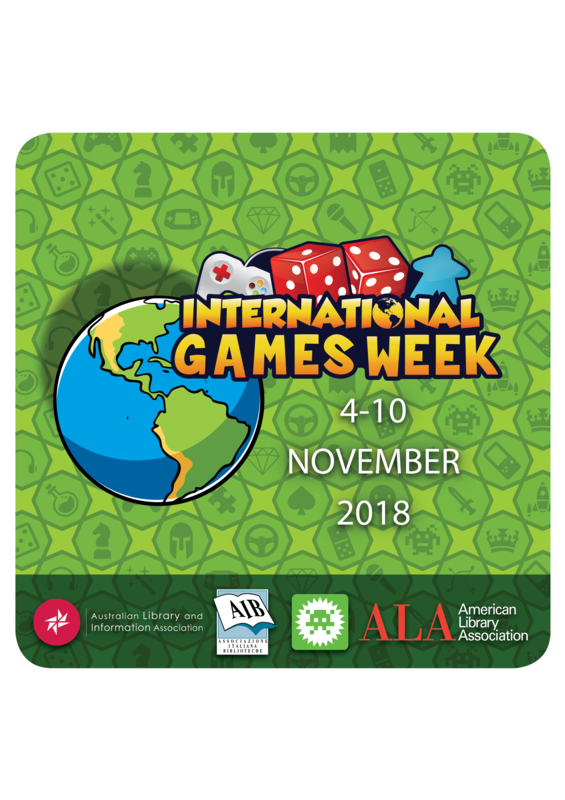 We also have a promotional materials with posters, logos, and press materials to help you promote the event in your library. And there’s a blog at http://games.ala.org which publishes updates weekly on a range of topics to help inspire ideas, discussion, and of course learning around games and play in libraries. 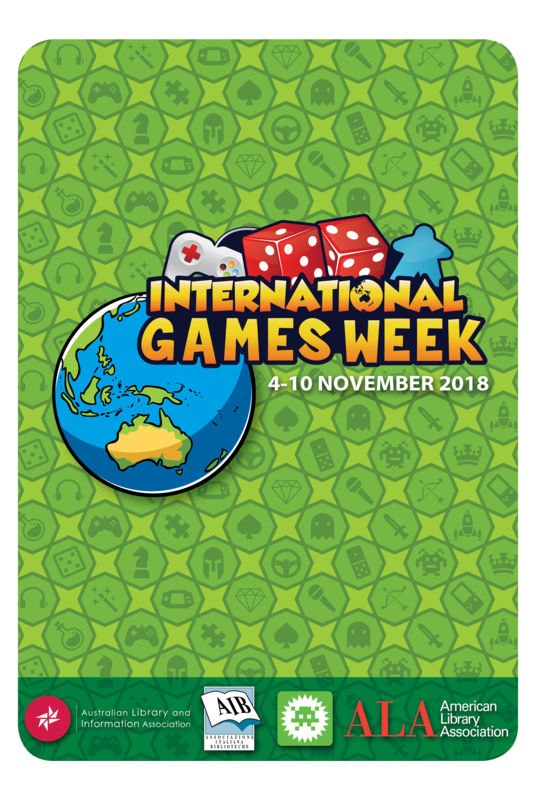 International Games Week is a non-commercial, volunteer-run library initiative auspiced by the American Library Association in partnership with the Australian Library and Information Association, Nordic Game Week, and Associazione Italiana Biblioteche sponsored by a number of quality game publishers and distributors. 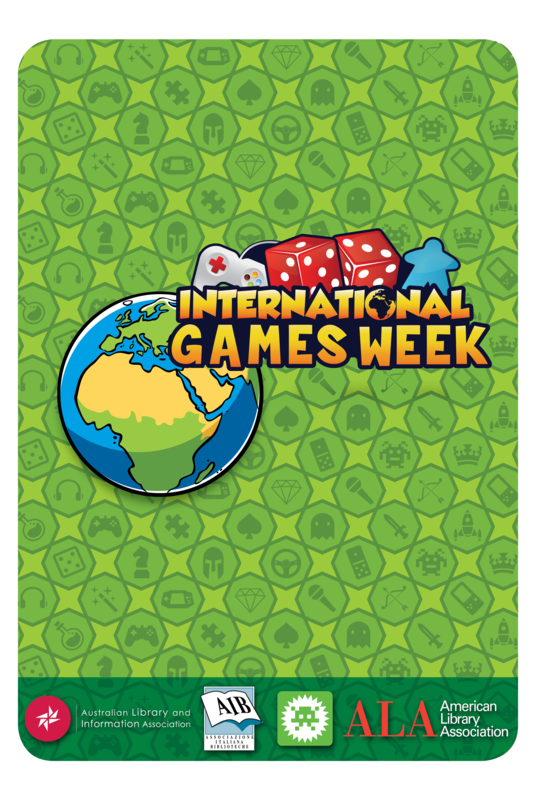 Follow International Games Week on Twitter at @ala_gamert! 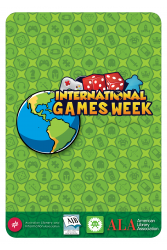 Tweet your stories using the tag #ALAIGW, and we’ll publicize them. 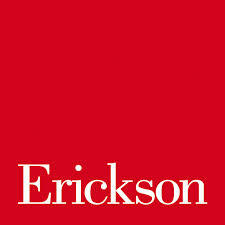 Like us on Facebook and join the conversation there.